What kind of poll question was that? Staggy wrote: From the officiating I've seen this year (throughout the league), there needs to be some sort of reward/punishment system in place for the referees. If you consistently make bad calls or occasionally make egregious ones, then less games, no playoffs and possible suspensions should be put in place. If you have relatively clean slates, then you can get more playoff games and whatever other bonuses you can give. This **** shouldn't be decided on tenure. Mike Yeo will ride his defense to victory, while letting the very intelligent and very talented Miko Koivu direct his minimal offensive efforts. Bright side we are due for some makeup calls....right? RIGHT?! shafnutz05 wrote: Bright side we are due for some makeup calls....right? RIGHT?! 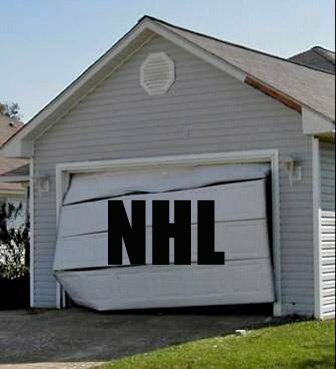 With the way the NHL works, it's guaranteed. Martin got away with a knee there. Bylsma's "a little questionable" more incriminating than BB's "F*ing B*S* of a **** call by a complete jack***"
time and space for Sid...next time! !